1st Semester Where did you go? As our first semester comes to an end, we would just like to say a HUGE THANK YOU to the Ulovane Team for an exceptional 3 months. You guys are just amazing, your hard work, guidance and support for each other and the students is just crazy! We are really blessed with the best!! Without you all, none of this would be possible! It was an incredible 10 weeks and the Ulovane team and students were kept busy and on their toes. To briefly cover a few other activities that took place over the first 3 months, this is what took place behind the scenes while we were running the courses with students. Candice represented the Ulovane team at a week-long career roadshow in Port Elizabeth, spreading the Ulovane message amongst the youth of today. Planting the seed that this is what they definitely should be doing as a career one day. Schalk took a road trip through the Eastern Cape over the last two months, visiting the Ulovane students at their various placements. We are proud to say that almost all of them have already been offered permanent positions and all of the guides are doing exceptionally well! Justin passed his assessors course with flying colours and we now have 4 fully qualified assessors at Ulovane campus! Congrats Justin !! 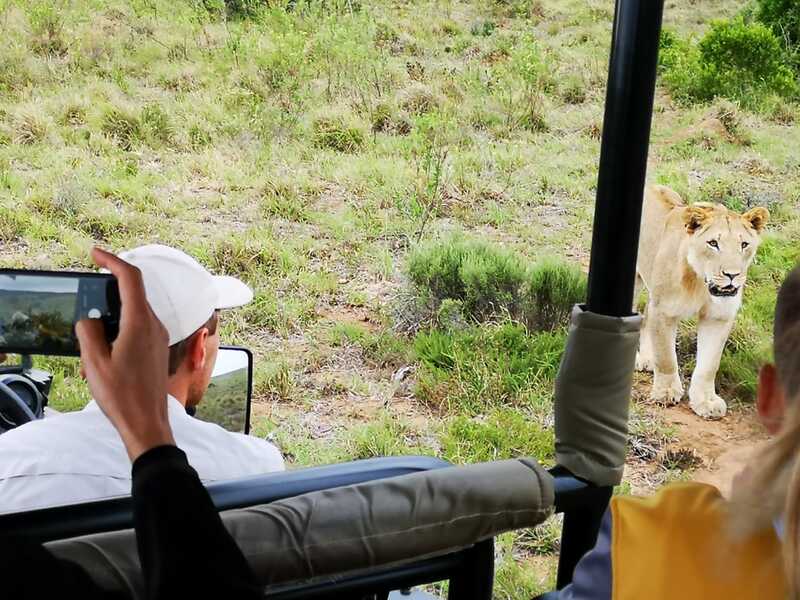 We hosted the St Andrews Grade 7’s on their first game drive for 2019, these young chaps are all working towards their Nature Enthusiast certificate this year and together with Dr Jenn Gush from the ACC on Amakhala and the St Andrews teachers, Schalk will be assisting in getting these young chaps certified – very exciting times. 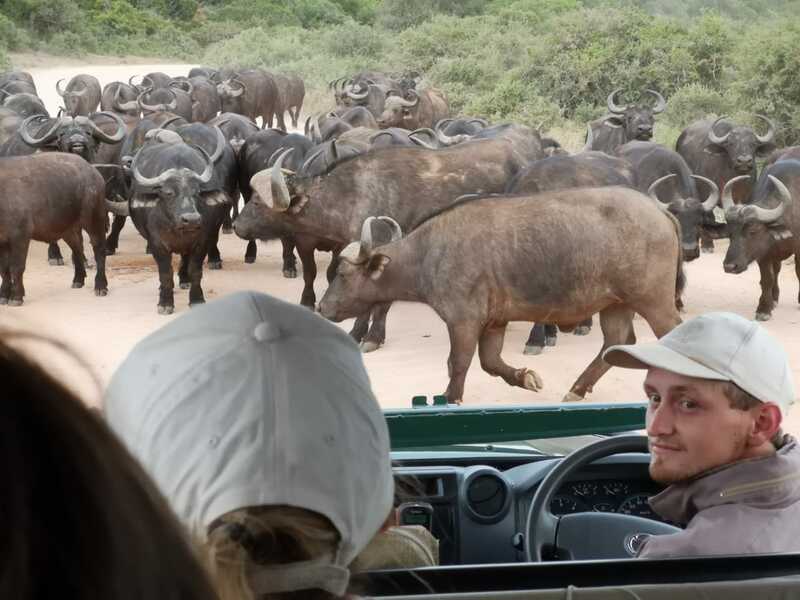 As the semester came to an end, Schalk headed off to Zambia to assist with Guide Training at a lovely lodge called Flatdogs, which borders on the South Luangwa National park. It has been an absolute pleasure to be a part of this team, these guides are so passionate, they just want to learn more, do more and know more. It has been an absolute treat being in the middle of Africa, wow it is beautiful!! It was also amazing to catch up with previous student Lewis Buckner who is a camp manager here and the person who invited us to come and stay – THNK YOU Lewis! 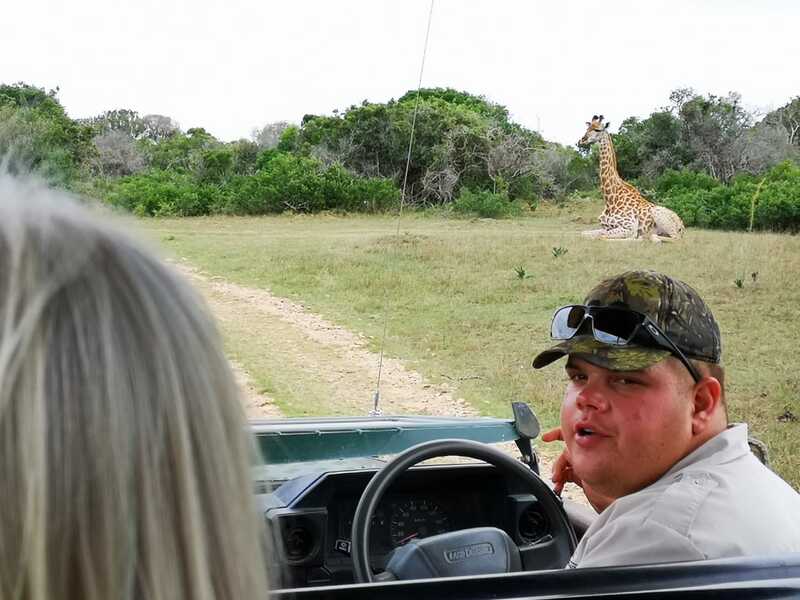 Shani headed off to Tanzania, to continue with the guide training that Schalk started in 2018. Shani has not been to Tanzania for a few years, so is super excited at the prospect of stepping out of her comfort zone for a bit and training guides in East Africa!! How exciting to get new inspiration and experience that you can bring back to the Ulovane students and team! We look forward to hearing all about it Shani!! Over the last 6 months, Keenan, Justyn, Diogo and Charlie became a part of the Ulovane family and it has been an absolute pleasure for us all to get to know you and watch you go from strength to strength. Your group average on every course has been incredible and to end off Marines on a 90% average, just wow! But its not only about the test scores and exams, but it has also been about you all finding your passion, flourishing in nature and amazing yourselves at just what you can achieve in this industry! We wish you all the very best for your placements and future studies. We have made it to week 4 of our marine guide course. 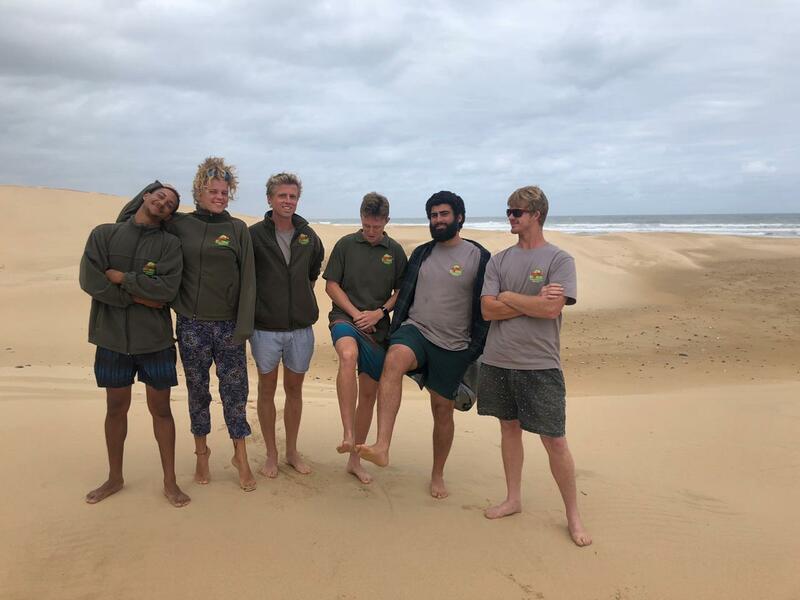 It is the final week of the course, and at the same time, the final week of myself, Diogo, Keenan and Justyn’s six-month journey of becoming nature guides. We had Alfie with us for the duration of the marine course only. It has been six months full of wildlife, friendships, emotions and studying. This week combined all of the above! Our house on the beach! We went through our different practical assessments such as beach observation and slide and sound assessment, as well as our mock exam on Wednesday in preparation for our final FGASA exam on Friday. Remembering all the different names of sponges, shells, corals and algae and identifying them correctly is never easy and even harder with English as my second language, but we all supported each other in studying and especially after our night walk to the rock pools, everyone was a lot more excited about it all. Our course was extremely lucky to spend the whole duration of the marine course by the sea. Our deck was built just about right on the sand dunes, so a 30-second walk down the stairs and we were on the beach! I really enjoyed waking up to the sound of the waves every morning, experiencing the weather and winds changing every day and seeing the tides changing daily. We were able to experience the marine world in the best possible way; by being part of it. It’s cool and exciting to be able to walk on the beach now with this advanced view of things with all the knowledge we have acquired about the environment. I’m looking forward to teaching all the different types of limpets and whelks to all of my friends if they want to learn or not! My highlight of the week was our braai on Wednesday evening where another Ulovane student and his family came by. Dr. Paul Cowley is an ichthyologist at SAAIB, who specializes in estuaries and estuarine fish. He very kindly shared some very interesting knowledge on estuaries and South African coastal systems with us. We had a fantastic evening and great food on our deck. Later that night we saw the waning moon coming up as a blood-red half circle above the sea and it took us a while to figure out is was the moon. We had a good 5-minute discussion about it and afterwards a good 20-minute laugh about how long it took to figure out it’s actually the moon! That’s what these courses and Ulovane are all about. Meeting new people, making friends and bonding for life through those small magical moments in nature. Ulovane taught me many new things from an educational point of view, but I also learnt a great deal about myself. Valuable life lessons that will take me forward into the next chapter of my life. I have never really been one who gets along very well in groups, but Ulovane taught me to step outside of my personal bubble and learn how to work and get on with people one wouldn’t ‘choose’ for themselves. It is a very valuable skill as teamwork makes the dream work. We became family over these 6 months together; this has its advantages and disadvantages, but everyone supports and respects each other. It’s very sad to leave these people now but everyone has new adventures ahead, be it a guiding internship, starting a new job or moving to another part of the world. I wish everyone here the best of luck for their journey and hopefully, at some point in the future, we will see each other again.